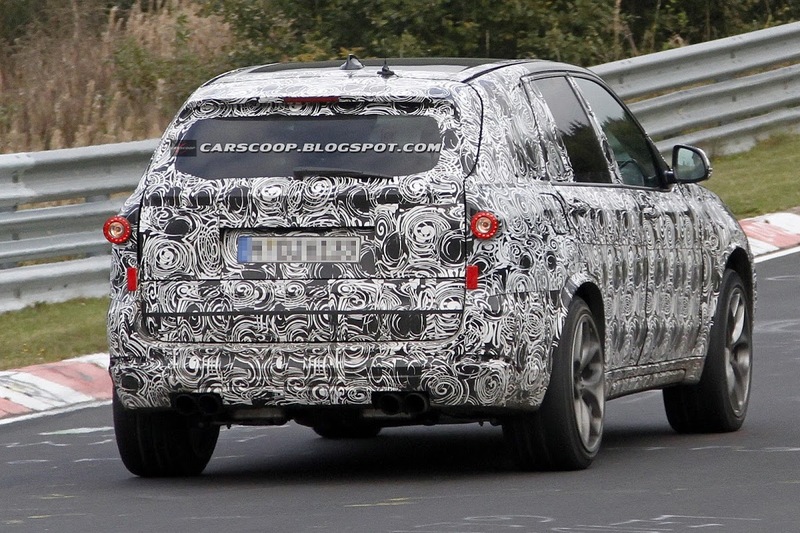 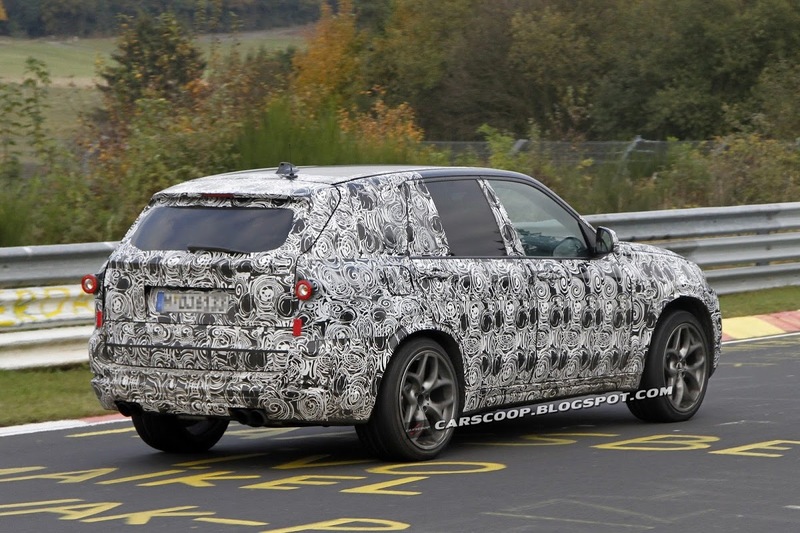 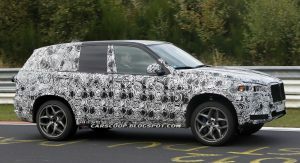 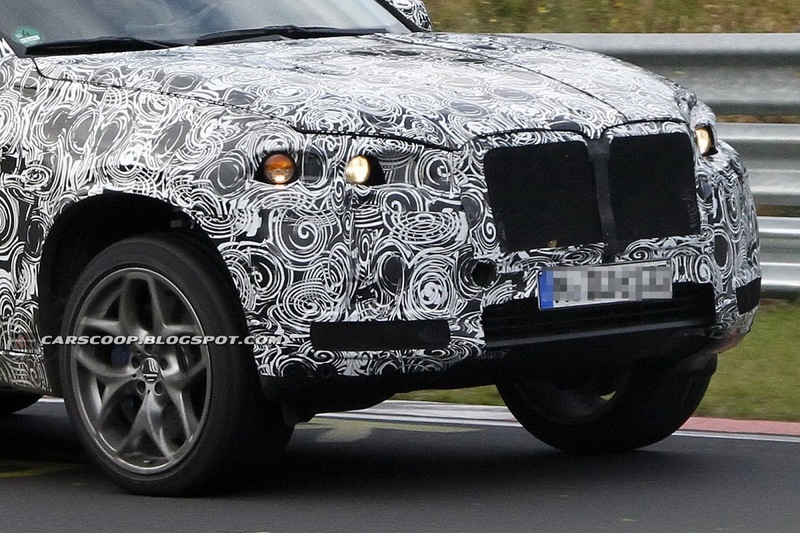 Only a day after we showed you a video of BMW’s “super” SUV doing the rounds on the Nürburgring, our man with the photographic lens caught another prototype affording us a motionless view of the next X5 M.
But how do we know for sure that this is indeed the “M” model and not one of the lower powered versions of the F15 (that’s BMW’s internal code for the next X5)? 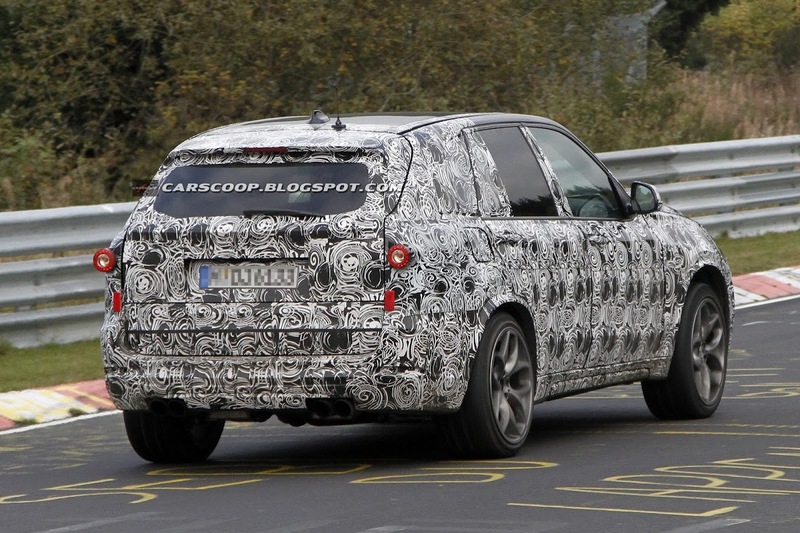 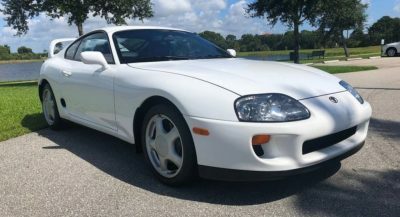 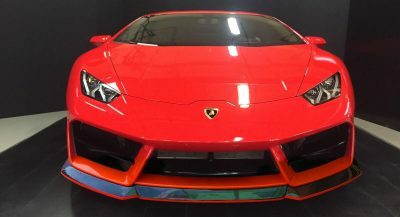 Well, the large alloy wheels draped in extra beefy low profile tires, along with the huge brake discs and mainly, the twin tailpipes on both corners of the rear diffuser, are all typical traits of BMW’s M series of models. 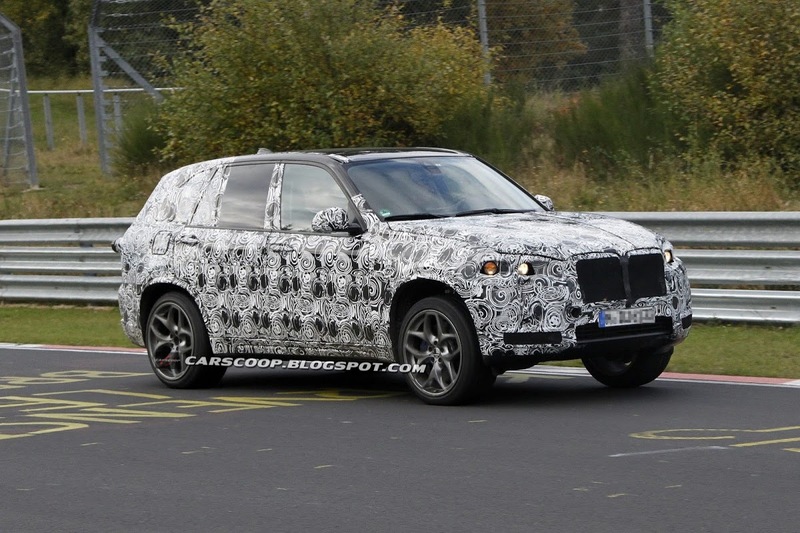 It’s pretty clear that BMW’s designers have taken an evolutionary approach with the design of the next X5, with the front and rear ends of the luxury crossover expected to be more sharply styled than the current model. 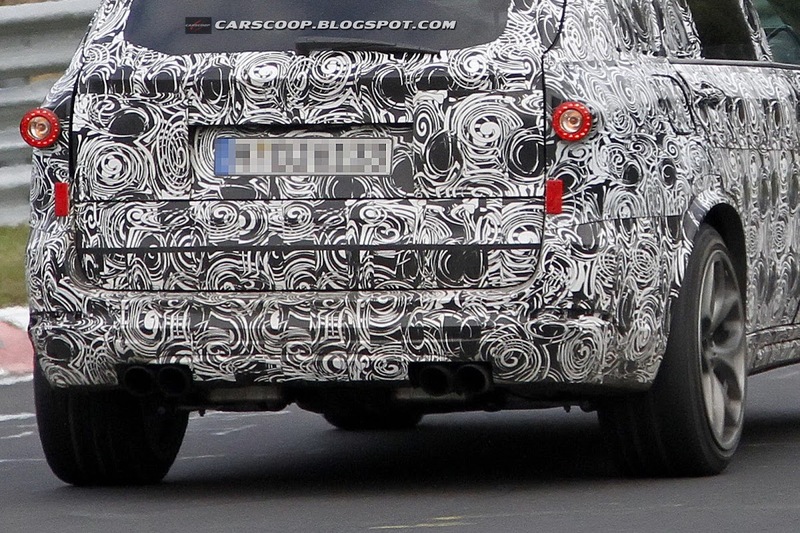 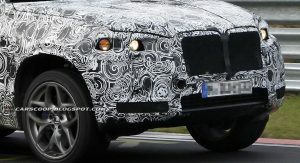 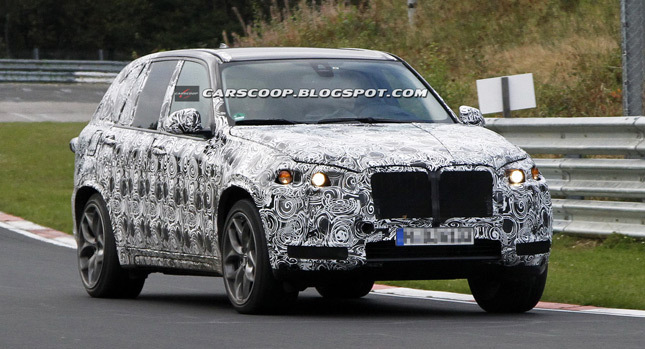 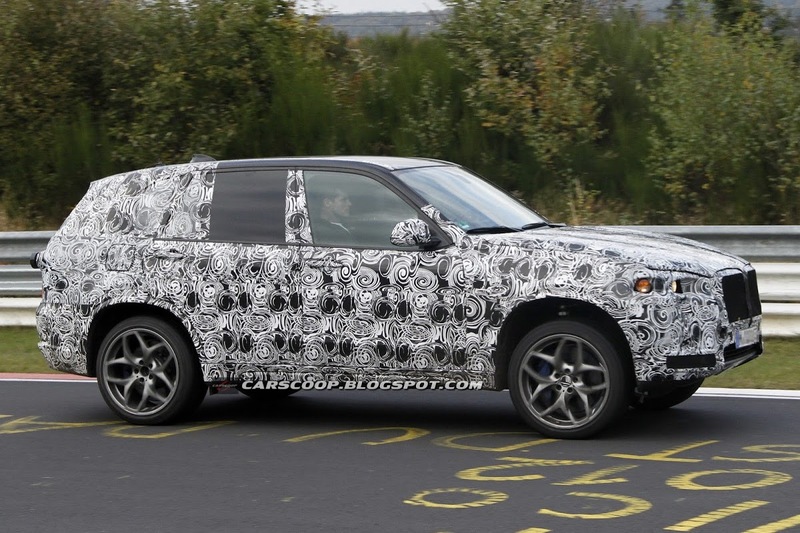 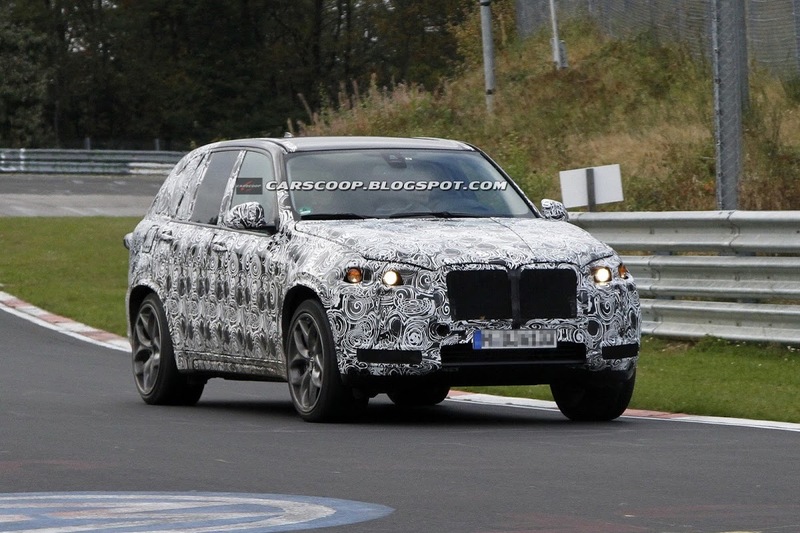 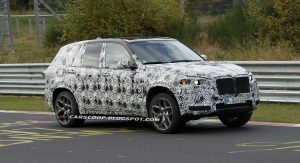 These pictures also hint at an extended headlight design similar to that of the F30 3-Series, but we won’t know for sure until BMW begins to peel off the camo from the prototypes. 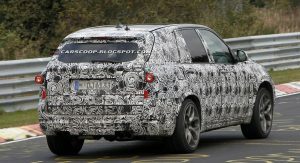 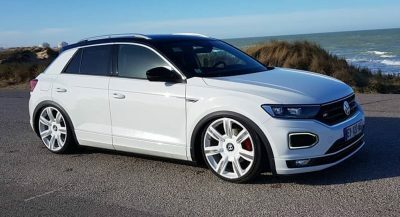 The M variant of X5 will have a more dynamic look than the regular model on the outside via the usual aerodynamic add-ons such as bespoke bumpers, side skirts and a larger roof spoiler. 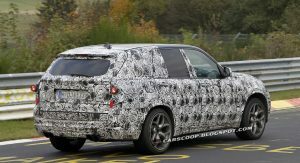 The F15 will ride on a new chassis architecture that should lead to the range shedding some weight, which in turn, will improve handling as well as performance and fuel economy. 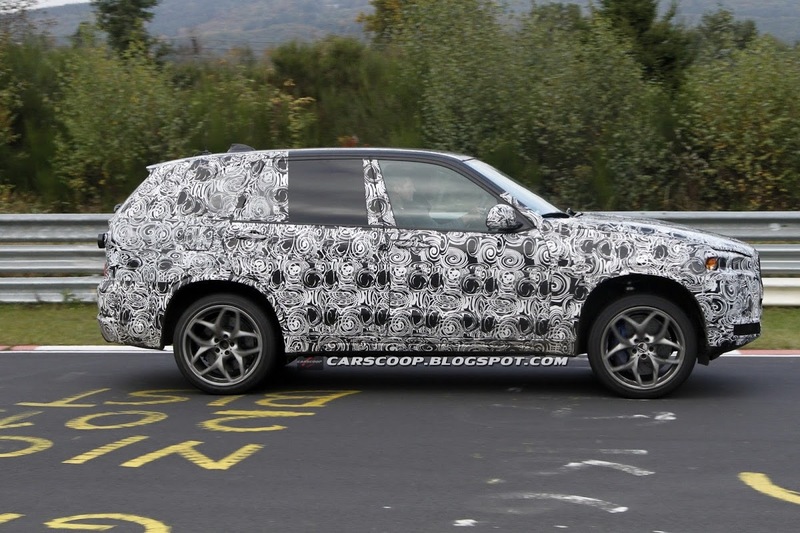 As for the drivetrain, the new X5 M will borrow the newer S63Tu 4.4-liter bi-turbocharged V8 used on the latest M5 sedan and M6 coupe/convertible models connected to BMW’s xDrive AWD system and either a dual clutch or an automatic transmission. 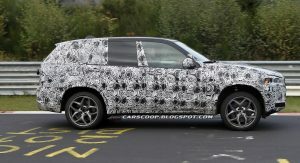 We hear that the next X5 will likely arrive in the market at the end of 2013 with the X5M to appear in 2014 as a 2015MY.